Wisconsin's largest coal-fired power plant, We Energies' Oak Creek generating facility, is actually two plants in one. The second was added in a major expansion a decade ago, and together they roar 24/7 along the Lake Michigan shoreline south of Milwaukee. To keep the massive place running, it takes about 12,000 tons of coal a day, which arrives by the trainload and rests in large coal piles. 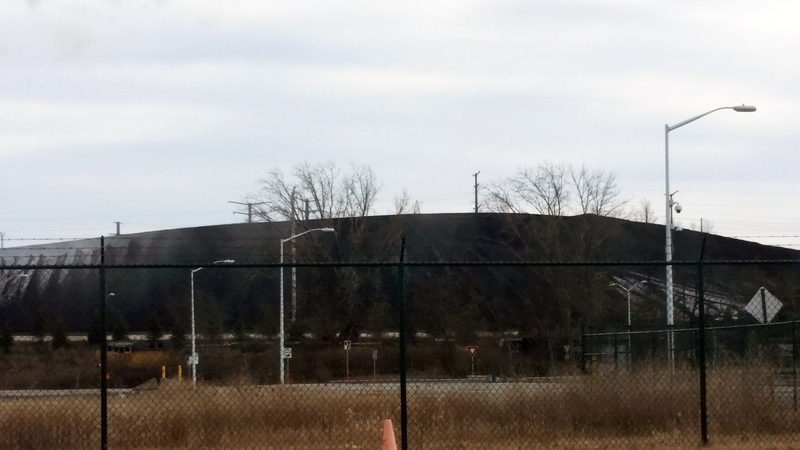 As it sits waiting to be burned, black coal dust from those piles and train cars blows into nearby neighborhoods, leaving residents upset and concerned. Nationwide, more than 200 similar power plants have shut down in recent years, or plan to do so. Earlier this month, We Energies shuttered it's coal-fired Pleasant Prairie plant, not far away, in Kenosha County. Some neighbors of the Oak Creek plant would like to see it join that trend, or at least switch to cleaner-burning natural gas. We Energies, the plant's operator and co-owner, is promising to make other changes, but critics fear the dust problem will get worse. For years, neighbors to the south of the plant have complained about the coal dust and, lately, some residents in a neighborhood to the north have said they're affected too. 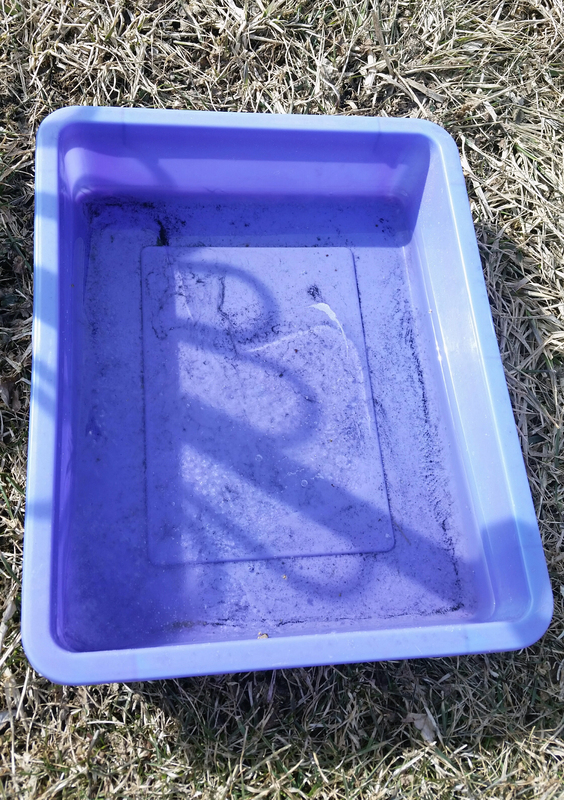 "It's in and on my air conditioner," Michelle Jeske said recently, while offering a brief tour of her back yard, pointing at objects thinly coated with black dust. "That's a cooler that was left outside. So, some residue, obviously on the white you can see it doesn't really just wash off," Jeske lamented. With four kids going in and out, Jeske said she has trouble keeping the dust out of her house. Across the street, Greg Millard sets out pans of water in his front yard to collect the black dust. He said tests have shown it's coal. "In our yard, and Michelle's yard, too. It's all over," Millard said. "Two-hundred homes." Greg's wife Sheila Millard, said the coal dust is ruining a good community. The Millards have lived about a mile from the plant for 11 years. They said the dust problem only got very bad last summer when the power company moved a coal pile closer to their home. The Millards said since then, on many windy days, the neighborhood gets a cloud of dust. "The neighborhood has been fine. I don't think our We Energies neighbor has been a good neighbor at this point," she said. The Clean Power Coalition of Southeast Wisconsin, which includes the Sierra Club, faith groups and others has highlighted the concerns at two community meetings in Oak Creek. 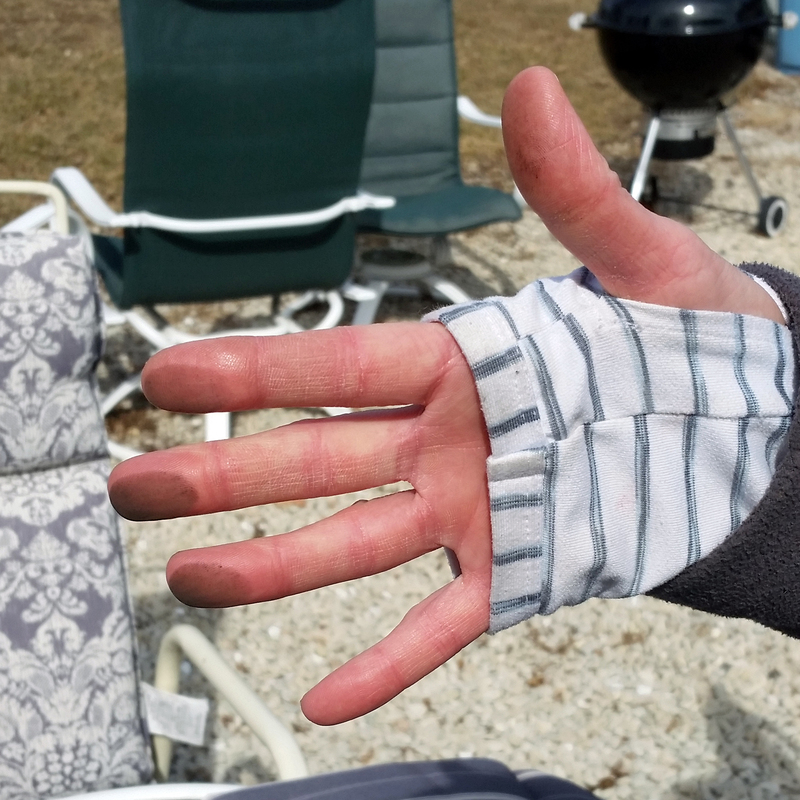 At the first event, on March 21, local doctor Michael Ganz said there's a good chance that extended exposure to coal dust has contributed to the dozens of cases of asthma and other breathing problems he's treated. "The coal dust that I believe is likely playing a strong relationship between these folks getting sick very often and actually having coal in their homes," Ganz said. At a second meeting, on April 4, executives of three companies that own the Oak Creek power plant — We Energies, Madison Gas and Electric, and WPPI Energy — also attended. They heard pleas to buy out more neighboring landowners or make more use of renewable energy like solar and wind and convert the coal-fired power plant at Oak Creek to natural gas. Tom Metcalfe of We Energies began his response by apologizing: "I have to say that, first of all, I am very sorry for the incidents that have caused us to be here this evening. We can and we must, do a better job." Metcalfe and other executives announced that Oak Creek employees will curtail or stop work on outdoor coal piles during windy days. They'll also lower the new coal pile and cover it with a temporary sealant. The plant will also add an air monitor and possibly also build a new wind barrier. Executives also promised more plant neighbors will be offered tours and be encouraged to ask questions. But some neighbors, like Rudy Wendt, weren't impressed. "You want to be good neighbors, you say? I don't think so. You just want to pull in that mighty dollar!" Wendt told the utility executives. Some of the plant neighbors also predict now that We Energies has closed its Pleasant Prairie facility, the company will make more use of the Oak Creek plant, especially when the planned Foxconn electronics factory begins operating 10 miles away, in the Village of Mount Pleasant. Hearing their concerns, the power company said that won't be the case.